Kings Place Opts for Panasonic Cameras for its Flexible Event Space. The venue hosts a variety of music, art and entertainment events, from classical music concerts to comedy. It consists of two concert halls, two art galleries and a handful of event spaces, and is the first new public concert hall to be built in London since the completion of the Barbican. Duringresearch the team at Kings Place read Panasonic case studies of similar event spaces and, impressed with the ease of integration, decided to see the cameras in action for themselves. They chose six Panasonic AW-HE130 cameras for their flexibility and ease of use. 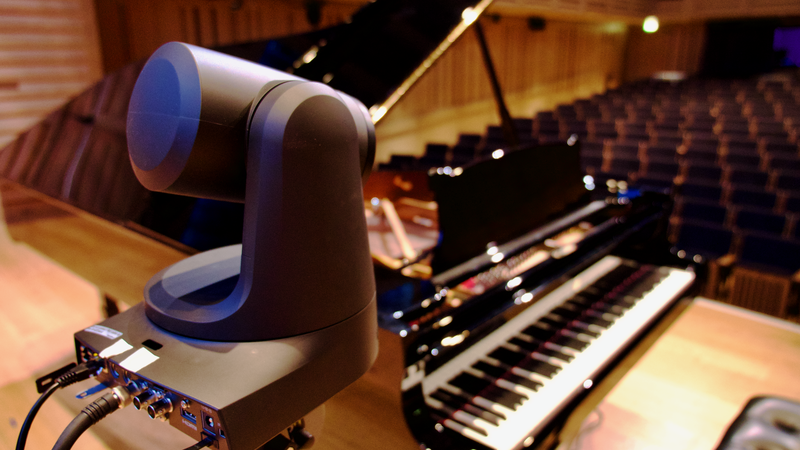 With the varied programme of events at Kings Place, the system installation had to be able to accommodate the venues lighting requirements. Arts events in particular are often quite a bit darker, so investing in a quality camera which can shoot in low light was a must. The HE130 is equipped with three 1/2.86-type MOS sensors, allowing for high-grade filming even in low light conditions. Dave Wells, Recording and Broadcast Manager for Kings Place, said, "we just kept coming back to the AW-HE130's as they just ticked all of our boxes. They are so discrete and you can put them up anywhere really quickly, making them ready to use within such a short period of time."